These brownies are impossibly chewy, gooey, and fudgy. They are also gluten-free and dairy-free, contain no refined sugars, and require no baking — but you can keep that to yourself when you serve them, and let folks marvel at the time you must have spent on this decadent confection (shh… these take about 5 minutes of prep time, and then just an hour or so to chill in the fridge). 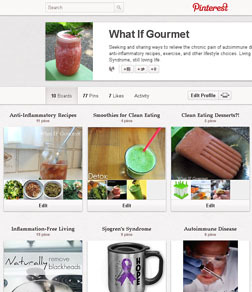 If you’ve visited What IF…? Gourmet before, then you know I have no room in my diet for empty calories, and even my desserts must offer up lots of nutrients, fiber, and heart-healthy fats. These fudgy brownies fit the bill. I prefer to make small batches of sweets, so I make this 8-serving recipe in a roughly 4″ x 7″ ceramic baking dish, but you could easily double the recipe and press the dough into an 8″ x 8″ pan for 16 servings. *Use the softest, stickiest medjool dates you can find. I buy them with the pits still in, because they tend to dry out and harden once they have been pitted. 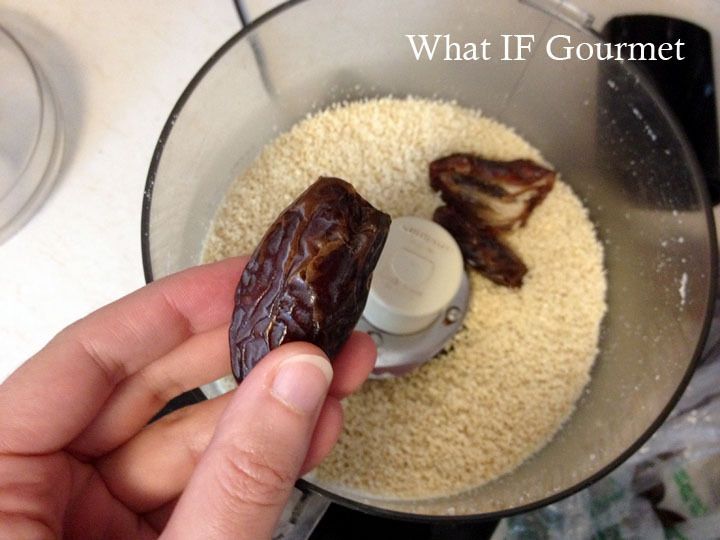 If your dates aren’t very soft, then soak them in just-boiled water for 20 minutes and then drain before using. 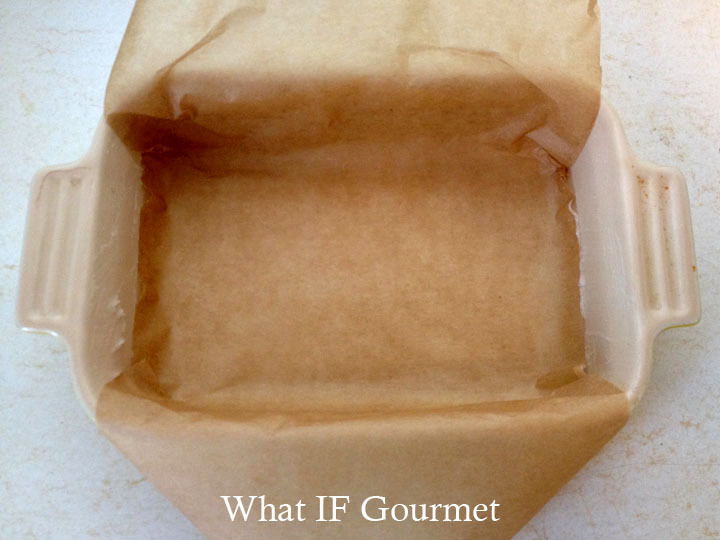 Prepare a small baking dish (about 4″ x 7″, or similar) by lining it with parchment paper that comes up and over two sides. Lightly grease the other two, unlined sides of the dish with coconut oil. Grind the cashews in a food processor until they form a fine powder. Add the vanilla extract and a pinch of salt, and continue to process for another 30 to 40 seconds. Add the medjool dates (remove the pits first!) and pulse until they are coarsely incorporated into the ground cashews. Then process until the mixture starts to form a ball. Melt the chocolate chips. I do this by heating them in a glass bowl for 30 seconds in the microwave, then stirring for about a minutes, then heating for another 30 seconds, then stirring for another minute or so until all the chocolate is melted. Use as little heat as possible to melt all the chips. Add the cocoa powder to the melted chocolate and stir to combine. At first, the mixture will look lumpy and grainy. Continue to stir for two to three minutes, until the mixture looks smooth and glossy. 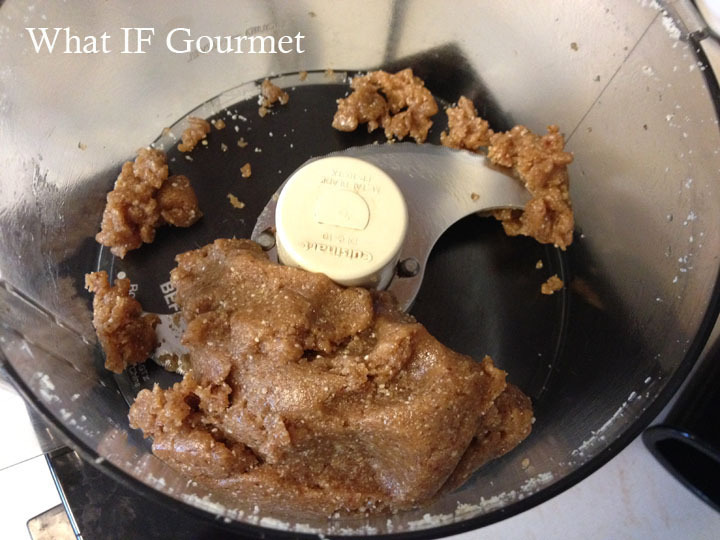 Add the chocolate mixture to the cashew-date mixture in the food processor. Process for about a minute, until mixture is smooth and has gathered itself into a ball. Scrape down the sides of the food processor with a spatula and continue processing, if necessary. Press the chocolate dough into the prepared pan with a spatula or your fingers, being sure to press down well along the edges and in the corners. Fold the parchment paper gently over the top of the dough. Chill for at least one hour, or longer. 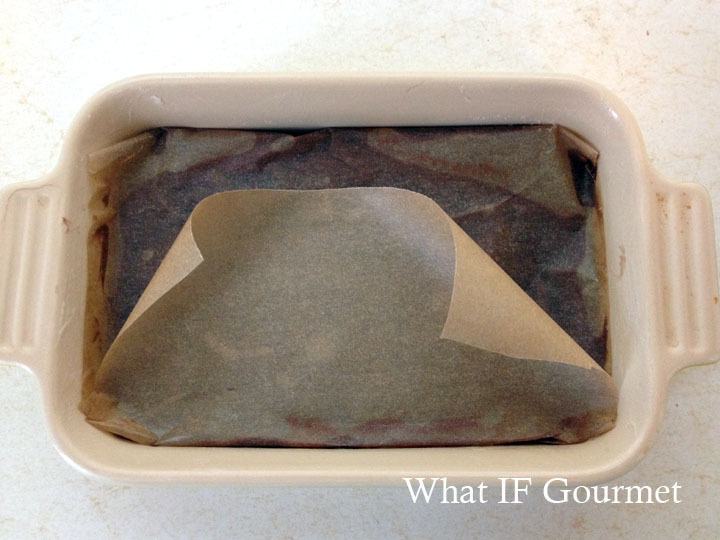 Loosen the brownies along the unlined edges of the baking dish with a knife, and then lift them from the baking dish with the parchment paper. Cut into sixteen pieces. Store in an airtight container in the refrigerator. 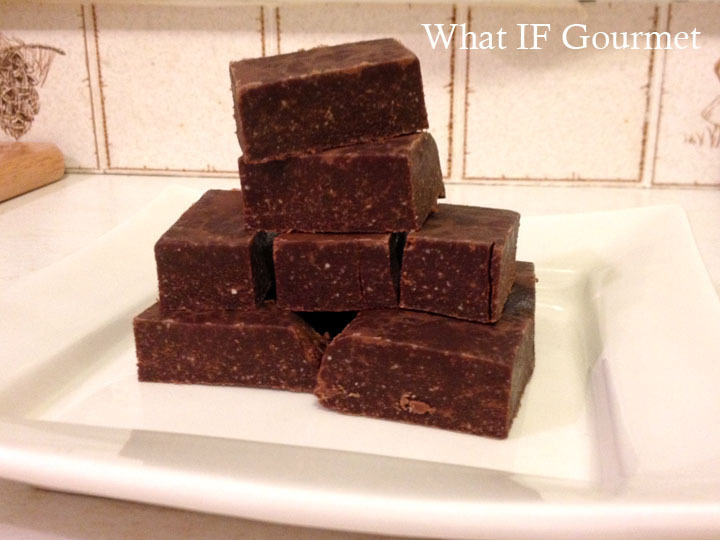 This entry was posted in Anti-Inflammatory Ingredients, coconut oil (virgin/ unrefined), Dairy-free, dark chocolate (70% cocoa or more), Desserts, fruit, Gluten-free, monounsaturated oils, nuts, Recipes, Snacks, Vegan, Vegetarian. Bookmark the permalink. Looks good! 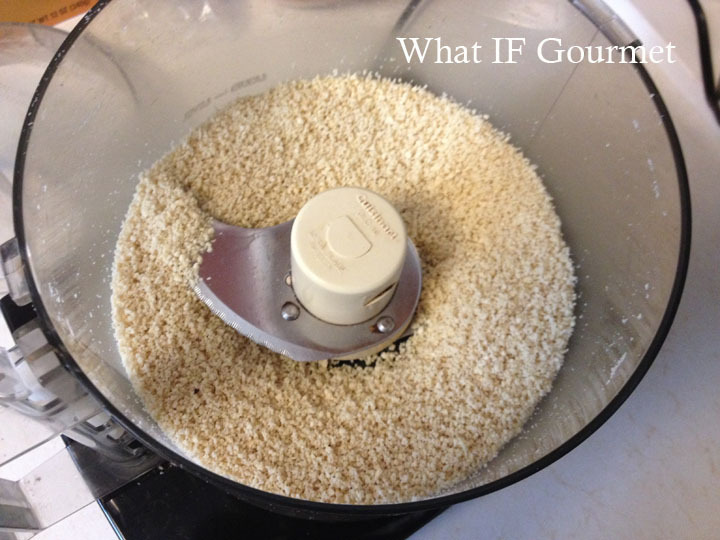 I would try it with almond meal or lightly ground walnuts. Either sounds like a yummy combo! Can you explain the raw cashew thing, it seems prevalent in GF cooking? why raw not roasted? would roasted work for this recipe since you aren’t turning them to “cream” (and since I seem to have a lot of them)? 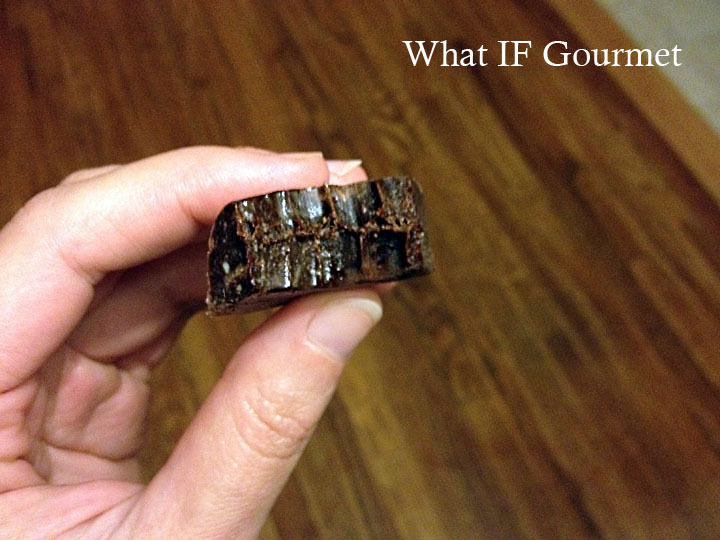 would other raw (or roasted) nuts work? Thanks for the education. Beth, as far as I can tell, raw cashews are used for two reasons: (1) their flavor is very mild and easy to manipulate, and (2) they blend into a very smooth and creamy puree once softened by soaking. I have tried using soaked, roasted nuts instead of raw in the Vitamix, and wound up with a noticeably grittier texture than when I used raw. But if texture isn’t so much of an issue, then go for it with the roasted nuts. I think they’d be fine in this recipe, although they might be a bit grittier and have a bit stronger of a flavor of their own. Thanks, I’ll have to experiment. Maybe this could be my “occasional GF” entry way.